Part 1: A 12-day guided bicycle tour with African Bikers (from Cape Town to Port Elizabeth). Part 2: A solo, self-supported bicycle tour across South Africa, Lesotho, Swaziland and Mozambique. Part 3: A driving tour of Kruger National Park. I fly into Johannesburg, South Africa on March 1, 2013. Once there, I’ll be picked up by Olivia, a BicycleTouringPro.com reader who has graciously agreed to host me at her home for my first two nights in South Africa. I won’t be in Johannesburg for long, however. After less than 48 hours of rest and relaxation in the city, I’ll go back to the airport and jump on a plane headed for Cape Town. 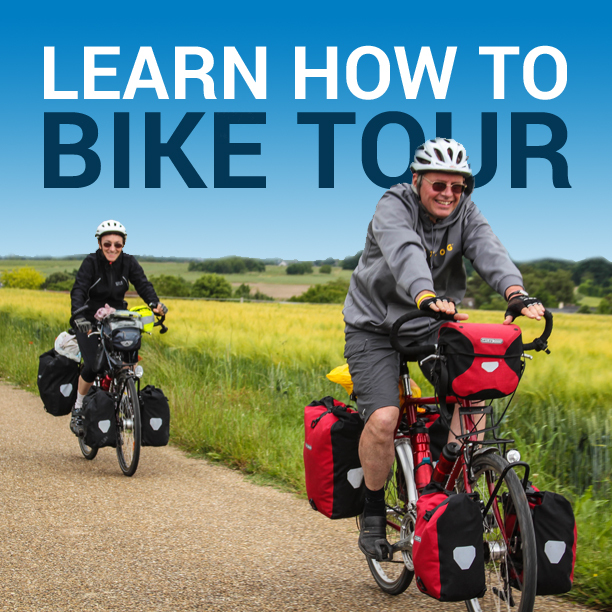 Once in Cape Town I will meet up with the leaders of the African Bikers tour company and 6 German bicycle tourists for the start of a 12-day guided bicycle touring experience that will take us from Cape Town to Port Elizabeth. Experience the versatile landscapes of the Western Cape by mountain bike. Partly we make use of sections of now famous Cape Epic Mountain bike race – on single trails, sometimes on remote jeep tracks we ride in perfect weather conditions through a real treasure chest of plant life. That’s why Table Mountain, the Jonkershoek and Bosmansbos Wilderness area are part of the UNESCO world heritage site Capensis. The average bike distance is about 25 miles and 3000 ft. with a few days being longer. The surface varies from coarse gravel to rocks and roots in the forests and in the Gouritz River we have to carry the bike through water. 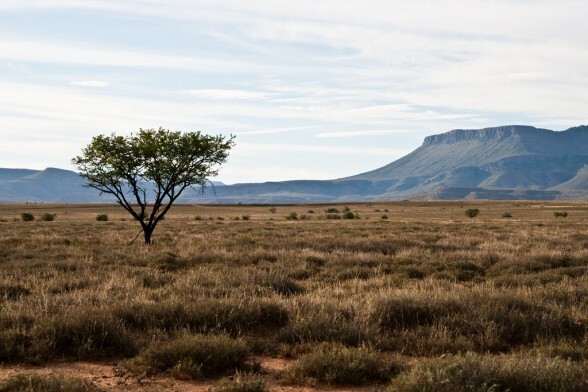 Special highlights are a bike ride on a 13 mile beach and a safari by bike in the Klein Karoo where you can spot giraffe and various antelope off the bike saddle. At the end of the trip see the Big 5 and more in Addo Elephant National Park. In Gordon’s Bay, Mossel Bay and Plettenberg Bay are ample of swimming possibilities on protected beaches. We stay in carefully selected guesthouses, hotels and chalets. After the African Bikers tour is over, I’ll hitch a ride with the tour leaders back to Cape Town, where I hope to rent an apartment in the city for at least a week or two. This will give me time to recuperate from the guided bicycle touring experience, do some much needed computer work, and experience the sights and sounds of Cape Town. The second and longest leg of my journey in South Africa is going to be a 1,500 mile self-supported bicycle ride from Cape Town in the west to Mozambique in the east. During this time I will be traveling alone, camping wherever I can find a place to camp, and crossing through the small countries of Lesotho and Swaziland along the way. I haven’t really planned out any of the specifics for this leg of the tour. I haven’t decided how many miles I will be riding each day, where I will be sleeping or even exactly which roads I will be traveling on. Instead, I’m simply going to let the wind blow me where it wants. I have a general plan for this leg of the tour, but I don’t want to tie myself down with specifics. Instead, I’ve made no plans at all. The loose plan, however, is to simply get from Cape Town to Mozambique in a period of about 45-50 days. Kruger National Park is one of the largest and most popular wild animal parks in all of Africa. It’s a wild place full of all kinds of animals. While in the park you can expect to see lions, elephant, leopards, zebras, buffalo, giraffes, rhinoceros, hippopotamus, cheetah, wilderbeast and more! Because these large (and sometimes dangerous) animals are roaming around the park, you can’t exactly ride a bicycle through the area. In fact, you are not allowed to enter Kruger National Park on a bike (I’m pretty sure you might get eaten). Instead, you have to enter the park in either a private automobile or in a tour vehicle of some kind. So for this part of my journey I plan to either rent a car and drive into the park for a few days, or join a guided tour in the area and enter the park with a group. I haven’t worked out details for this leg of my journey either, but I’ll figure it all out as soon as I start getting a little closer to eastern South Africa. So that’s the plan for the next three months! Be sure to follow the adventure on Facebook, Twitter, and (of course) here on BicycleTouringPro.com. This entry was posted in Africa, Bicycle Touring Pro Articles, Lesotho, Locations, Main Articles, Mozambique, Planning, South Africa, Swaziland and tagged african bikers, african bikers mountain bike tour, bicycle touring in south africa, cycling in kruger national park, is south africa dangerous, krugar national park by bike, mountain biking in south africa, south africa, south africa bicycle tour, south africa bicycle touring plans. Love your itinerary and varied plans. So glad you will be met in Johannesburg. I was worried about you earlier. My family spent 3 weeks in SA a few years ago and have friends there. You will love Cape Town and all the coastal areas. Just beautiful. I don’t know the second part of your journey areas as well. Ask the locals for their advice!. In Kruger, a self-drive is easily possible and there are safe camping areas where cost is reasonable and cooking areas are included. You don’t need to join a group tour except if you want to hike in the park and those can be arranged on a day-to-day basis. I’ll look forward to your adventures and reports. We loved SA so much we are eager to return. I hope you have a wonderful time. Darren, go for IT ! Tell us your experiences when you back. We will be eager to hear it. I wish you safe travels from Europe to Joburg and beyond. I have traveled in these parts a long time ago (1980-2) but not by bike. I spent a month in Lesotho in Nov/Dec 1980 where I experienced the most incredible electrical storms, beautiful skies and sunsets and the Lesotho people. I recommended (and my colleagues subsequently implemented) an optical scanning system in the Lesotho State Bank to verify signatures on passbook savings accounts (previously done via an inked-stamp pad). It was definitely state-of-the-art technology back then and look where we are today. You’ll have an incredible time – and I love the combination of things you have planned. I cycled in the Durban area a few years ago and really enjoyed it. Flew into Johannesburg first and walking off the plane was like walking into a blast furnace! However the weather around Durban is cooler and the cycling is really enjoyable. Reading your blog makes me soooooo envious! Looking forward to reading your adventures over the next few months. I live in South Africa and work in Maputo, Mozambique. The route the map shows you are going to take from Maputo back into South Africa goes through areas where the chances of encountering wild animals are a real possibility. Make sure you communicate with the locals, as much as the language barriers will allow. They are the most suitable to advise you regarding wild animals. Myself have been tempted to try that route in the past, but time commitments and concerns regarding wild animals have put me down. I will look forward to hear about your progress. Please do not hesitate to shout should you need any assistance while in SA or Mozambique. I will try my best to help. All the best for you. Good luck. Hi kruger you can easily self drive and almost all lodges have stores from which you can buy your groceries and have camping sites which are pretty cheap. Not sure if you will need to book them in advance though. If so you would need to do it through SANPARKS. Maybe you could check with the lodges. Lower Sabie and Satara area are quite good for sighting predators. I would suggest at least 4 nights in Kruger. However, spotting wildlife is a ‘luck of the draw’, you got to be at the ‘right place at the right time’. You will love Cape Town. Also try and see if your route towards Lesotho would take you through at least some part of Route 62….the vistas are just stunning. Overall, we loved South Africa during our tour in Aug 2011. Its one of the most beautiful countries and the people are extremely friendly…..have a blast! !